We provide you with a one-year exterminator guarantee when we rid your home of the German Roach variety. This typically requires approximately two treatments one month apart. 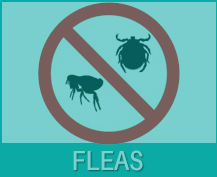 If the infestation is more serious it may require additional treatments. Treatment is customer friendly! There is no need to take dishes out of kitchen cabinets. Just leave them as they are. Treatment can be done without having to leave your home; there is no danger for you, your family, or your pets. Within 4 Days, You Will See a Dramatic Difference. Treatment is a Crack and Crevice Treatment. Our Baiting System Uses Gels and Granules. All you know is that you just saw a ROACH scurry from the stove to the refrigerator! You probably aren’t thinking at that very moment, “Gee, I do believe we have the German variety invading our home.” You just want them gone! 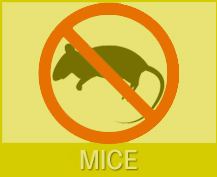 Pest infestations happen for a variety of reasons and in many situations. 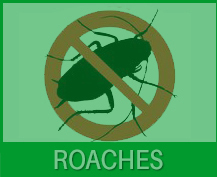 Let’s face it, the first thought you had after that roach ran past you was, “but I don’t have a dirty house!” While cleanliness is often a cause for infestation, roaches may appear and congregate simply if there is hidden standing water or if you have an attic or garage, particularly one that is damp and/or warm. The most common roach in the world is the Blatela Gemanica or German Cockroach. There is also an American variety (aka Waterbugs, Palmetto Bugs, and Wood Roaches), as well as an Oriental variety—a regular United Nations of the roach world! Still, no matter the species, only one word can describe them—GROSS. American roaches: The best times for treatments are Spring and Fall. Normally 2 treatments cover a full year. There are some exceptions, and in those cases, we recommend quarterly treatments. Even though Spring and Fall are the most optimal times for treatment, roaches are active year round—so if you see a roach, “NOW” becomes the “BEST” time for treatment. Therefore, whether it’s Spring, Summer, Fall, or Winter, don’t hesitate to give us a call. 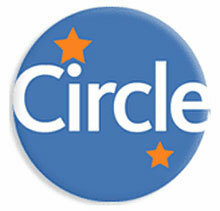 We’ll take care of your problem…Guaranteed! How do I know if I have ROACHES? You FIND DEAD ROACHES in your cabinet, cupboard, under the refrigerator, or in plain sight. Alternatively, your cat keeps dropping dead roaches it finds on your pillow. 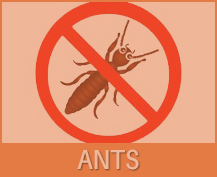 You FIND ROACH DROPPINGS (particles of black grit, an oily substance) around the kitchen or in and around cabinets. You HAVE A LOT OF OPEN FOOD SITTING AROUND, standing water (like a sink of dirty dishes), or if you let the garbage pile up. But we don’t do that, do we?